I love the Fuji mirrorless cameras, but with other great options like the Sony a6500, are the drawbacks to Fuji enough to persuade me to switch? For me, no, but I want to share some of the things I DON'T love about the Fuji cameras. It's no secret that I love the Fuji Camera system. They are fun to shoot with fantastic controls, much lighter weight than my old Nikon full frame gear, and offer excellent color reproduction and low light sensitivity. However, if you're considering a switch to Fuji, I want you to be aware of some of the pitfalls and drawbacks to the system. While I'm a Fuji user, I'm not a fanboy. I recognize that no camera system is perfect, and neither is Fuji. Without question, the Fuji 10-24mm lens is the Achilles' heel of the entire system in my opinion. The lens is relatively inexpensive when compared to other professional wide angle lenses, and it's lightweight, but it's not nearly the quality of most of the other Fuji lenses. The problem with the 10-24 is that it's not weather sealed. Of all the lenses in my bag that I need weather sealed–it's the wide angle! The wide angle is the lens that goes with me to shoot waterfalls, ocean waves, rain storms, etc. I have shot with dozens of non-weather sealed lenses over the years and haven't had too many issues, but the 10-24 is the exception. Nearly every time I get soaked in the spray from a large waterfall, the 10-24 dies on me. I wondered if I had a bad copy, but I bought another one and have had the exact same experience. It takes VERY little water to stop the lens from functioning–autofocus won't work, or the aperture won't change, or an error will show on the camera about a lens connection problem. I have spent many frustrated afternoons in my hotel room with a blow dryer trying to dry out my 10-24 so I can go shoot again in the afternoon. Sometimes if I just have too much saliva in my mouth when I look at the lens it'll die on me. The 10-24 is reasonably sharp. It's not sharp like a Nikon 14-24 f/2.8. It's not sharp like a Batis or a Cutco, but it's reasonably sharp. I haven't done enough lab testing with the lens to figure out where in the zoom range it tends to lose sharpness, but anecdotally it seems to be on the wide end where it really struggles. Fortunately, Fuji has promised us an 8-16mm f/2.8 lens. I will be the first to buy it. I will knock over women and children and elderly widows and get first in line. I was honestly wondering if I needed to switch over to Sony until I heard the news of the 8-16mm coming out some time this year (2017). So look out, elderly widows. For a guy who has put two years of work into developing the Really Good Photo Spots iPhone app (to be released in May, 2017), I have a special interest in having GPS geotags in my photos. Unfortunately, there's no reasonable way to do this on the Fuji system. There is no accessory from Fuji or any third party that will reliably geotag photos on the Fuji XT2 or the Fuji XPRO2. The Fuji app allows geotagging when connected to the camera via wifi, but it's very clunky, time consuming, and unreliable. GPS is incredibly simple for camera companies to implement. A simple GPS chip costs only a few dollars and can be implemented with rudimentary coding. Shall we form picket lines around Fuji Headquarters in Tokyo? They fall off–always. Fortunately, my friend and fellow podcaster Sandy Dorau showed me these Domke lens wraps which I like quite a bit better than using a lens cap anyway, so I'm just starting to use them instead. 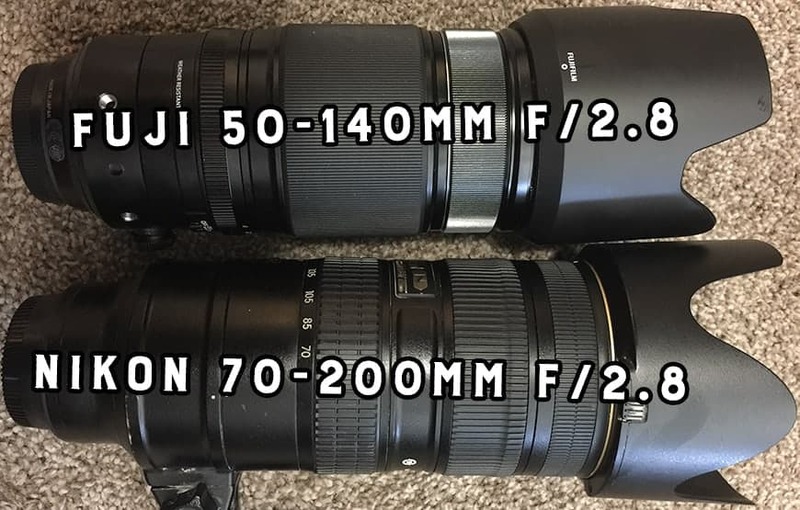 Although the Fuji 50-140 is lighter weight than the Nikon 70-200, the size is about the same. The Fuji lens system is generally quite good as long as you don't need specialty lenses. If you want to shoot sports with a 600mm f/4 lens, you're out of luck. If you want to shoot professional real estate photography with a tilt-shift lens, you're out of luck. If you want to do great than 1:1 macro photography, you're out of luck. However, the vast majority of photographers will find all the lenses they need. I personally have never been one to proliferate lenses. I feel that with the trinity of an 8-16mm (soon! ), a 16-55, and my 50-140, I can shoot any portrait, landscape, city, street, or night photography shot I want to. But it would be nice to at least have the option of a few specialty lenses as needs come about. Fuji cameras are still reasonably priced, but the prices are definitely creeping up as the cameras are becoming more popular. Just two years ago, you could score a top-of-the-line Fuji mirrorless for $400 less than you can today. However, as you can see from the table below, the price of the Fuji mirrorless cameras is still reasonable. I do think that Fuji will lose many sales to the Sony a6500 if they don't get a little more competitive, though. But the camera is not the real cost. The real cost is the lenses. Fuji lenses are not cheap, but most of them are very good quality. 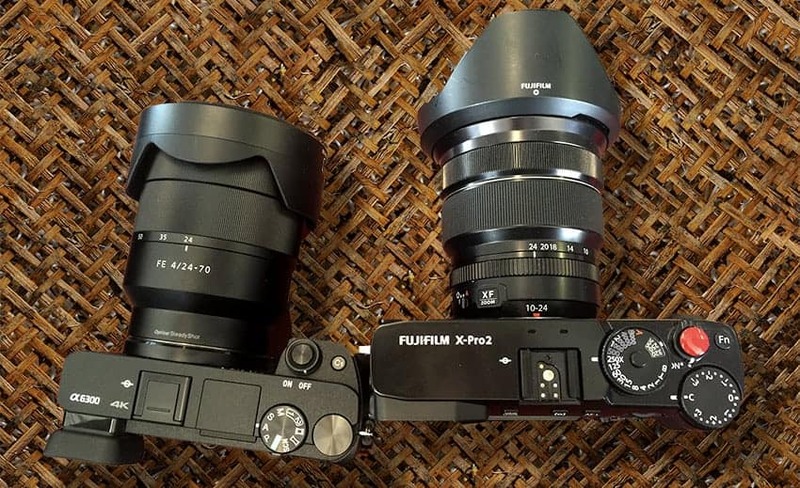 If you compare the cost of a Fuji camera system and the trinity of lenses to a micro 4/3 system, you're paying far more. Because more than one manufacturer makes micro 4/3 lenses, they are less expensive. In the video above, I share some of the differences between working with Fuji's .RAF files, and working in Lightroom with other brands of cameras. The sliders and colors do look different with Fuji cameras and it can take some time to get used to, but in general I don't feel that this is as big of a deal as some people make it out to be. I have recently been looking longingly at many of the lenses Sigma is releasing for DSLRs and eventually for Sony EF mount. The 85mm f/1.4, the 135…. all of them. 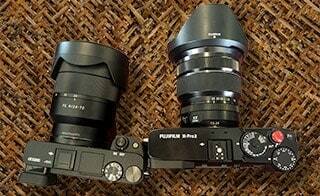 There are some incredible lenses coming out for other systems, and currently the Fuji system has VERY few entries from other companies. In the end, I still think Fuji is the best camera brand for me; however, I wanted to share some of the negatives to the system and hope you found the information helpful.